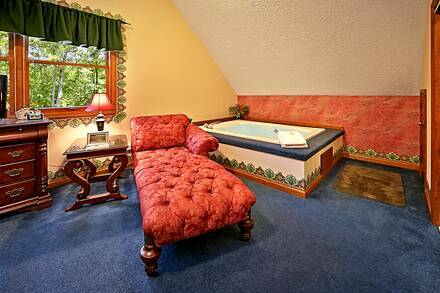 When booking a family or group vacation, you may not hope for much peace and quiet, but at Sanctuary, there is room for everyone to enjoy a taste of tranquillity. 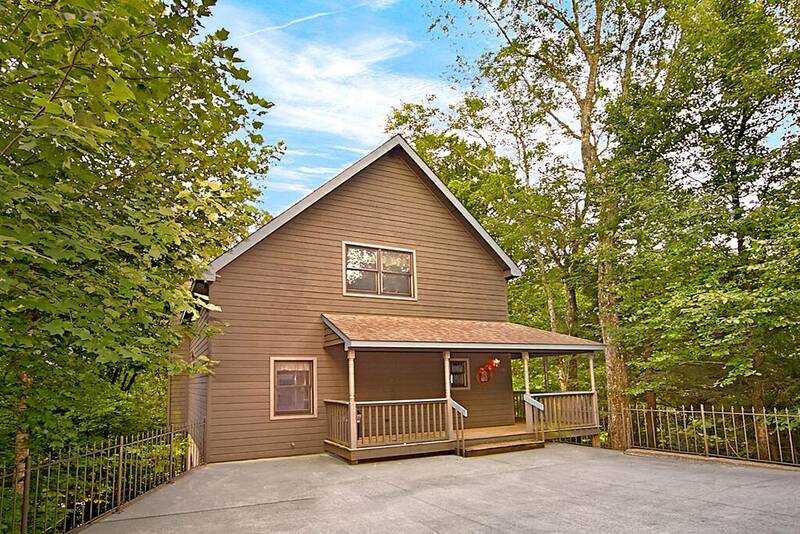 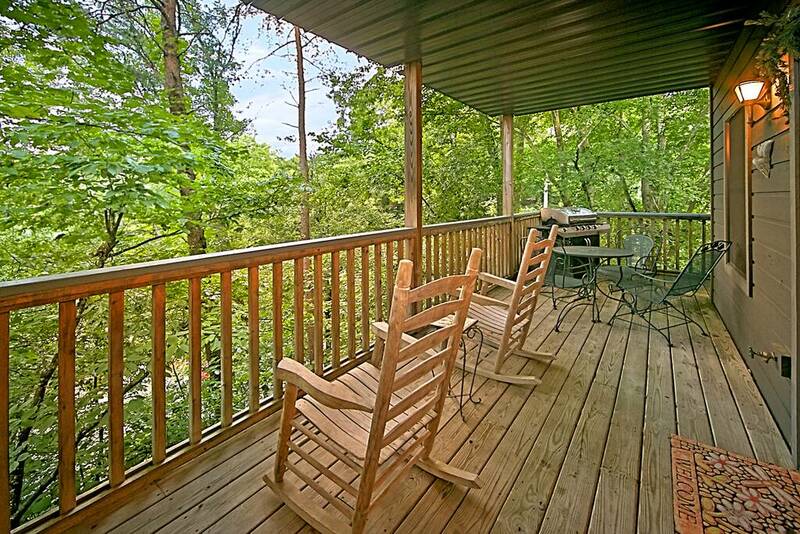 This three-bedroom cabin is surprisingly spacious and, in its calm woodland setting, you will feel miles away from the hustle and bustle of daily life. 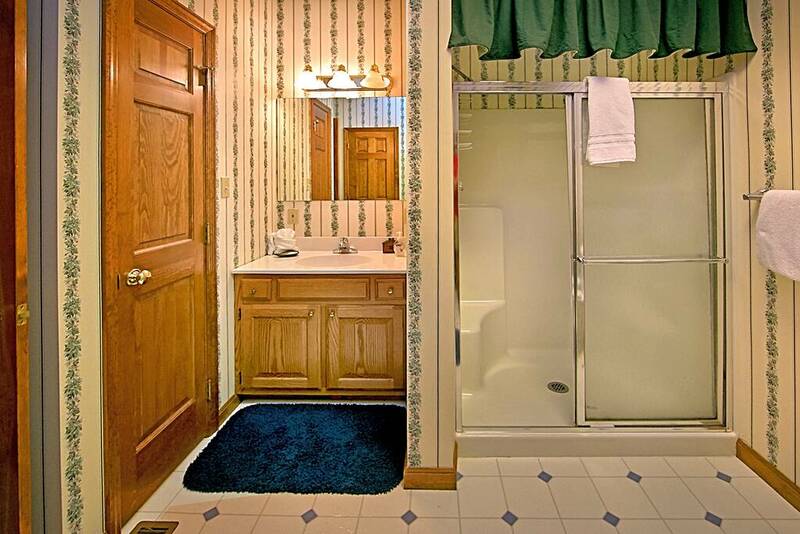 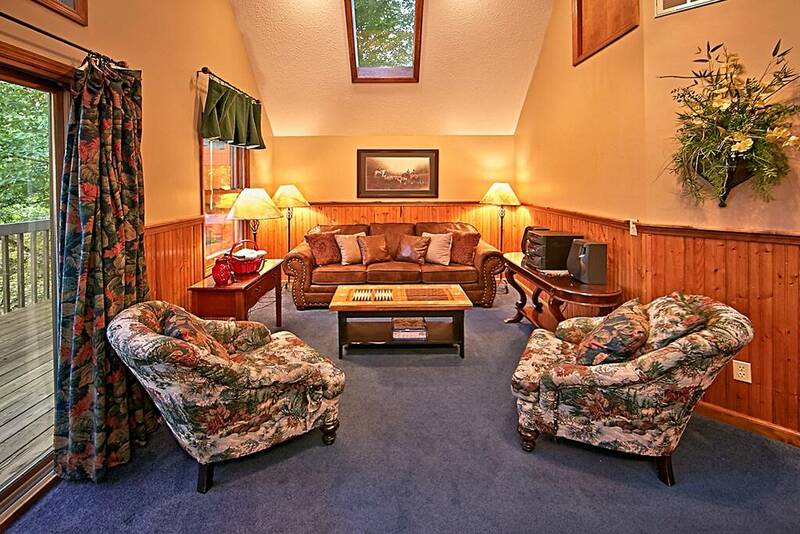 Three bedrooms are scattered over an equal number of floors, with a bathroom on each level. 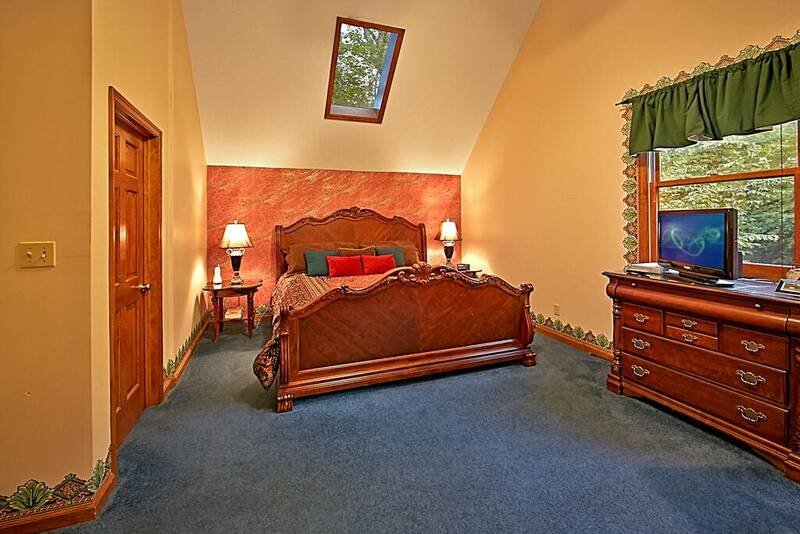 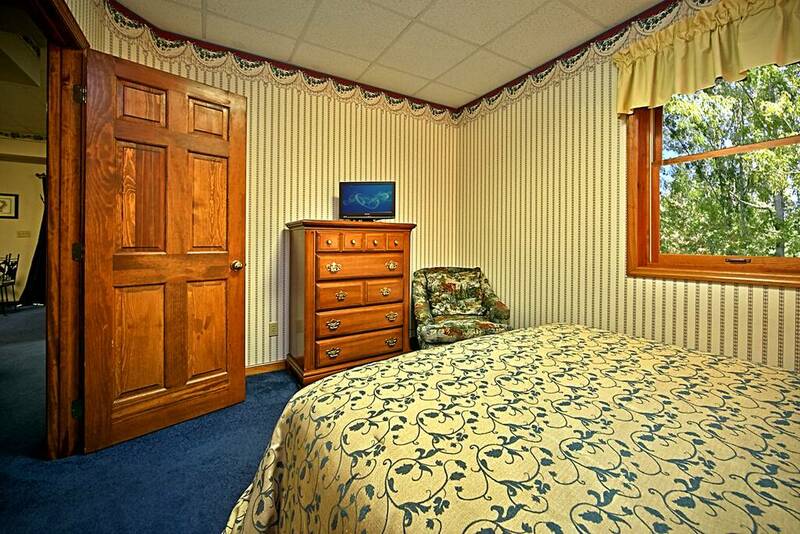 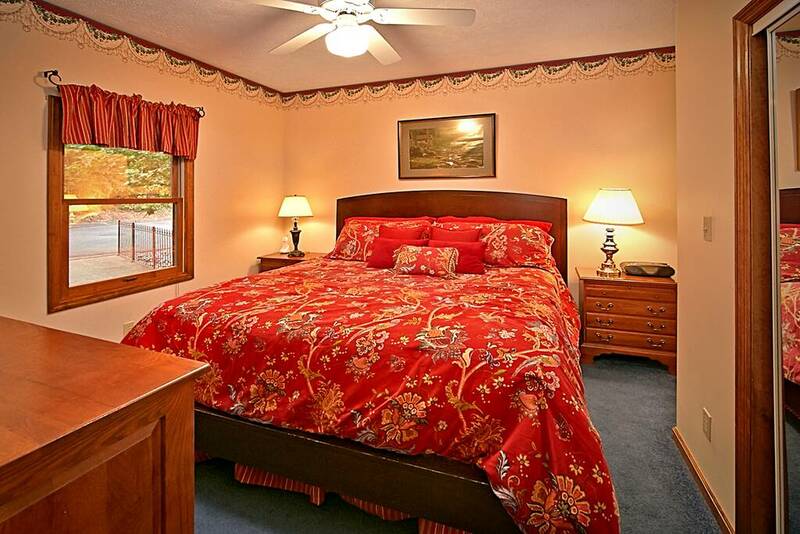 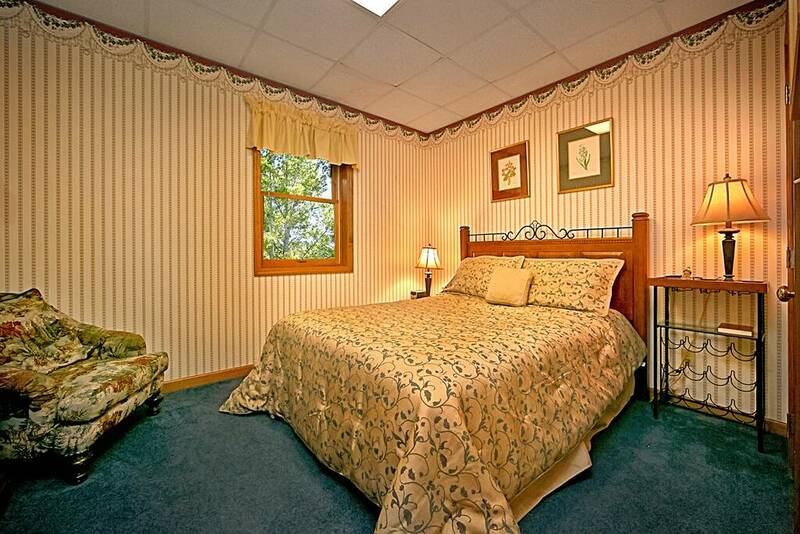 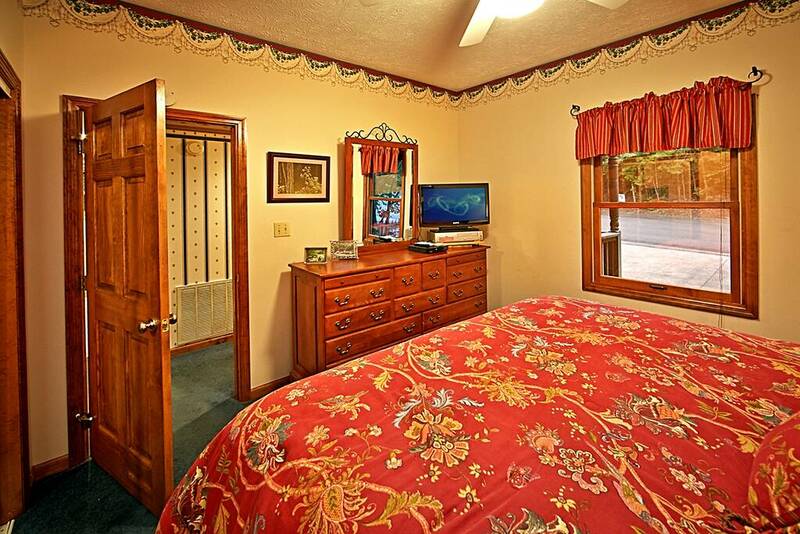 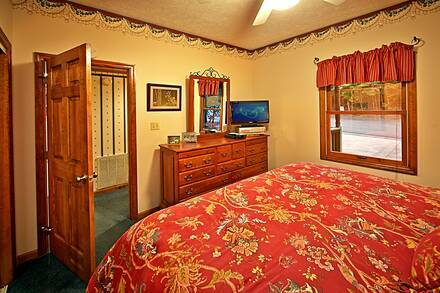 Two of these bedrooms have king-sized beds, while the third has a queen. A pair of sleeper sofas allow up to eight to enjoy Sanctuary, but it is all the communal spaces that truly enable you to relax. 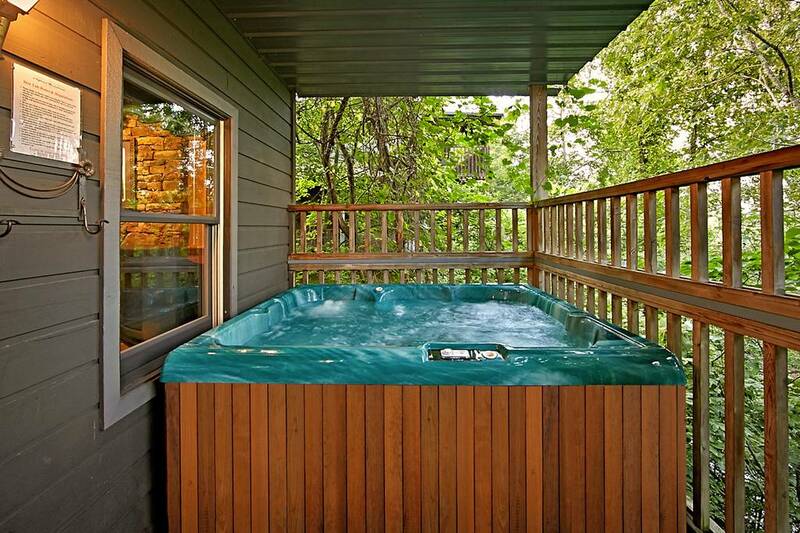 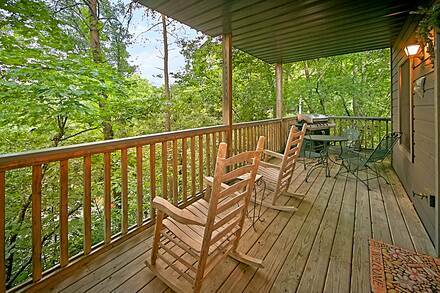 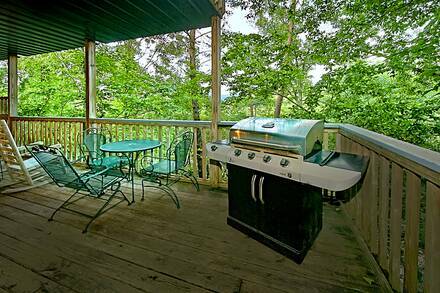 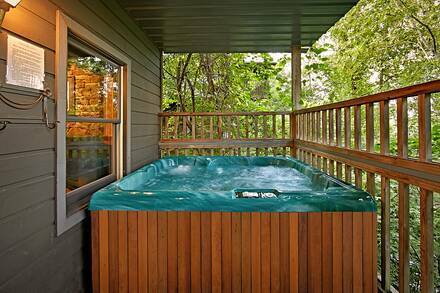 The main level has a wraparound porch with a table and chairs, a grill, and a hot tub, all set against a soothing forest background. Inside, an open floor plan offers plenty of space, with a floor-to-ceiling stacked stone fireplace and cozy chairs to relax in the evening. 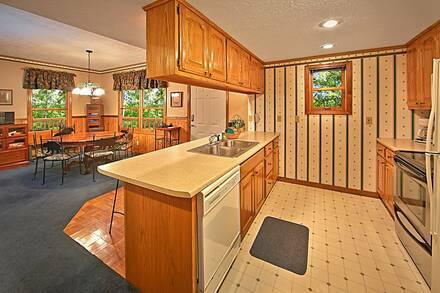 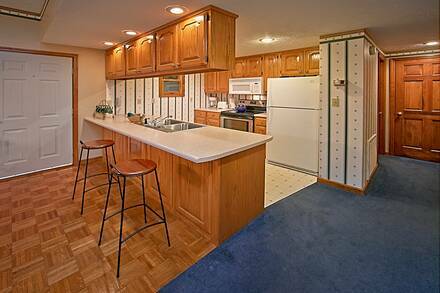 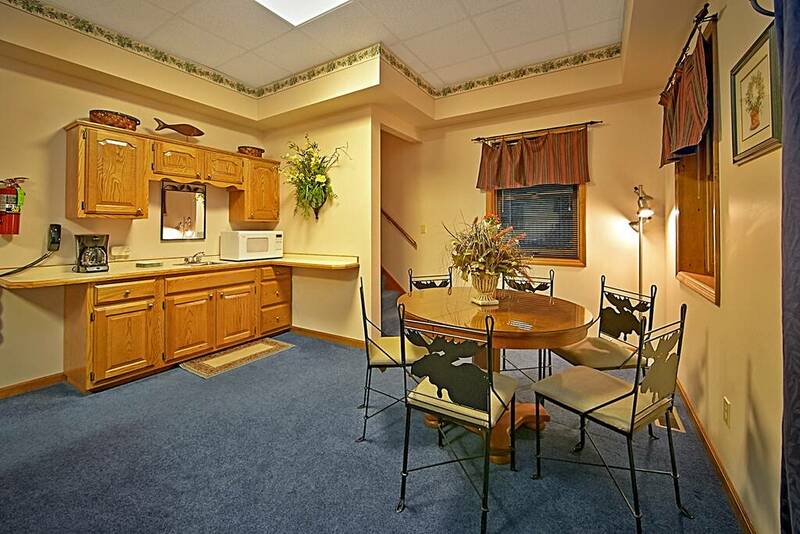 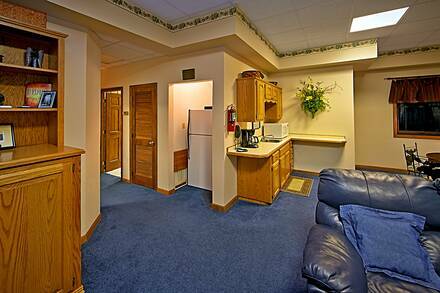 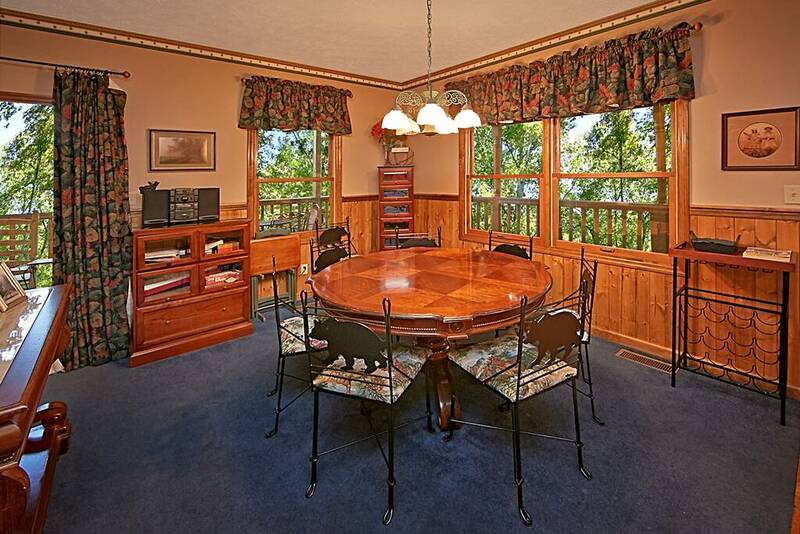 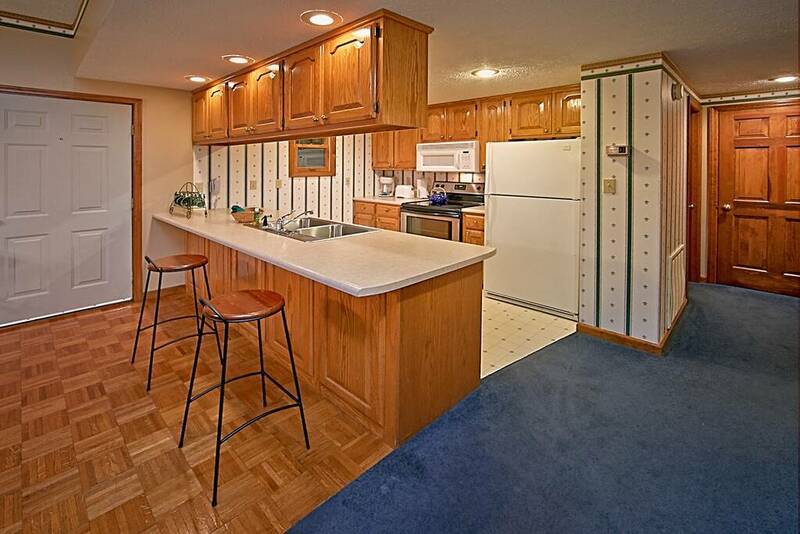 It also features a complete kitchen, dining room and breakfast bar so you can share a meal together. 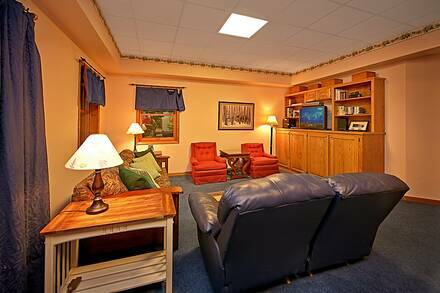 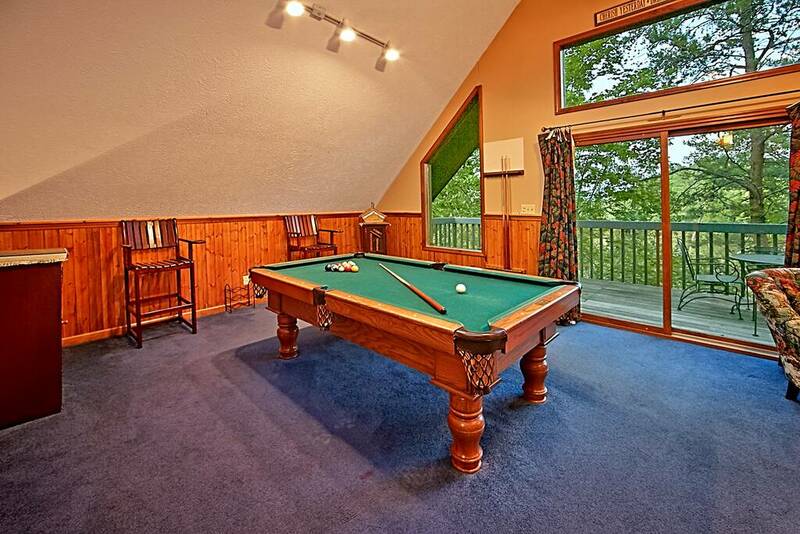 One floor up is a sizeable game room with full-size pool table and comfortable seats, plus a second deck with patio furniture. 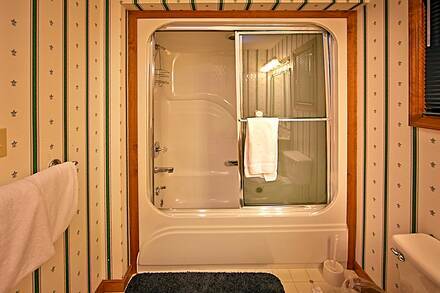 The master suite on this floor has its own jacuzzi. The bottom floor offers yet another place to wind down, with another complete living area, including table and chairs and a minibar and kitchenette, plus a third deck. 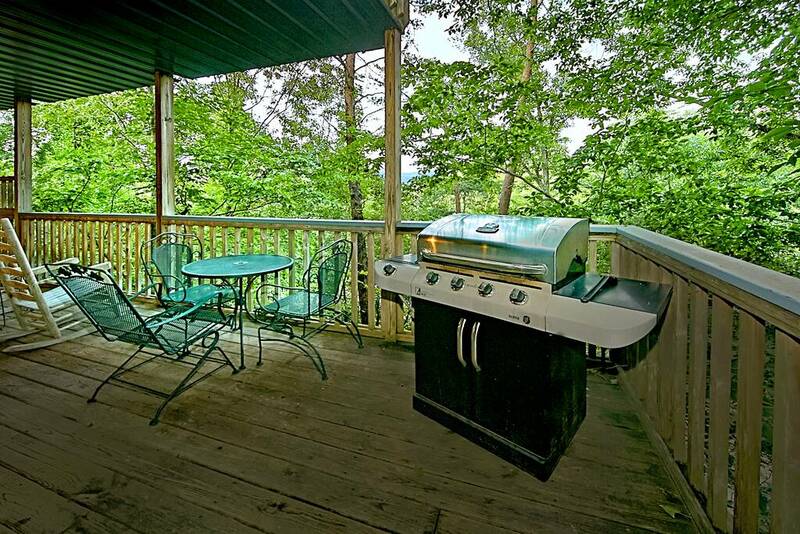 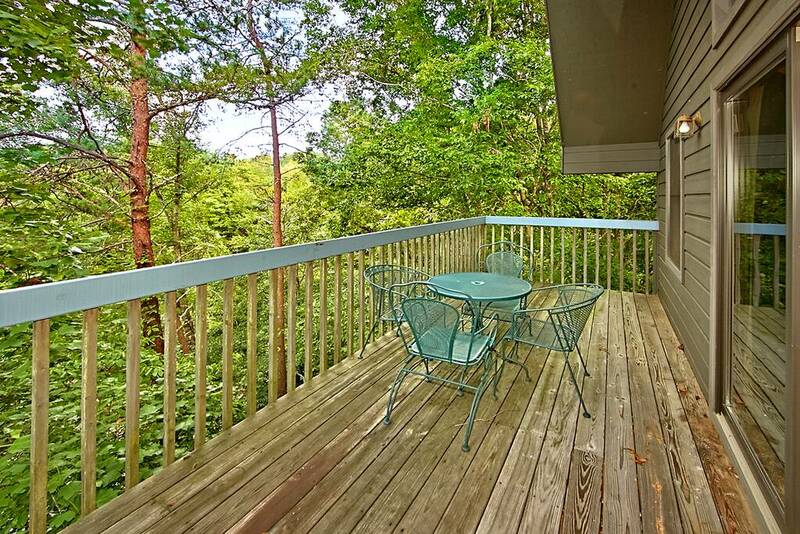 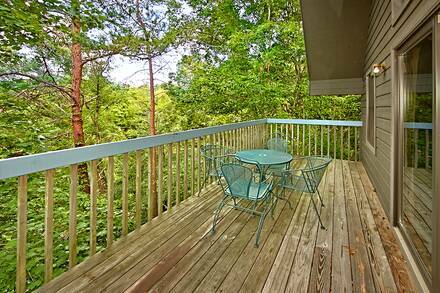 Despite its peaceful setting, Sanctuary is in the heart of Pigeon Forge in Brookstone Village, making it easy to shop and enjoy all the attractions of Gatlinburg, Pigeon Forge, and the Great Smoky Mountains.